This week we will take a closer look at call numbers, book locations, and how to check out a book at the circulation desk! 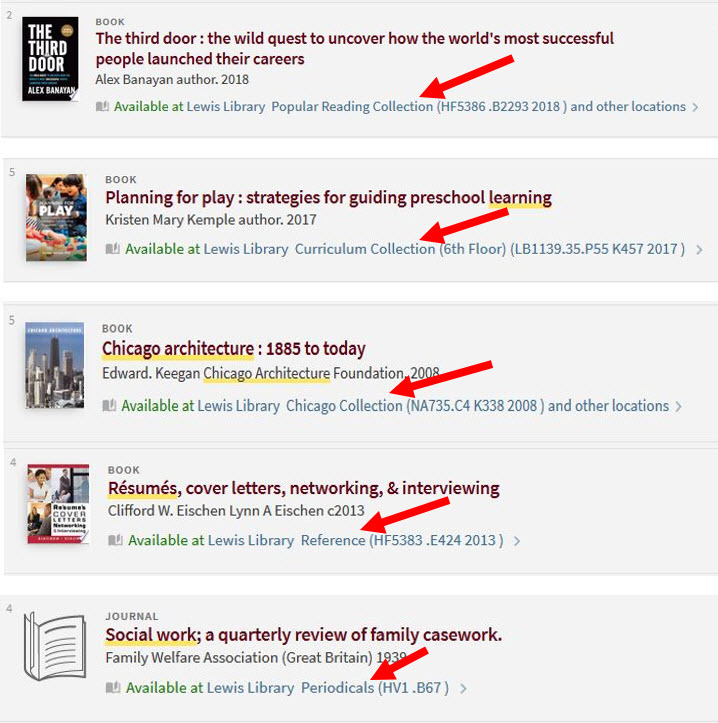 Lewis Library uses the Library of Congress system, which means materials are assigned a call number and arranged alphabetically. 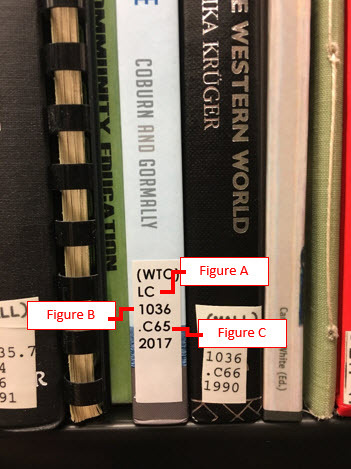 A call number is unique to every book and helps you locate it within the stacks. Most call numbers are displayed on the spine of the book, some appear on the front cover. Unlike the Dewey Decimal system, Library of Congress call numbers begin with letters that are followed by numbers. •	Figure A: Books are shelved alphabetically by the first letter or letters. •	Figure B: Books are then organized numerically by the numbers after the letter(s). •	Figure C: Lastly, books are arranged alphabetically by the next letter and decimal by the following number and year. 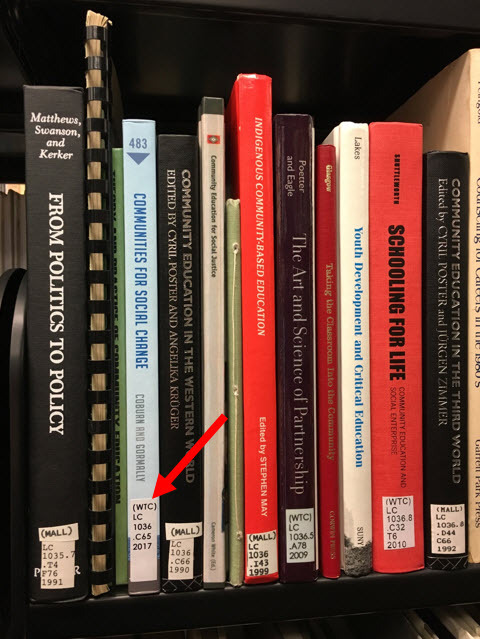 This specific book is available at Lewis Library Main Stacks, but what does that mean? In parenthesis you will notice that the call number for Communities for Social Change: Practicing Equality and Social Justice in Youth and Community Work is LC1036.C65 2017. On what floor would you search for this book? The ninth floor! 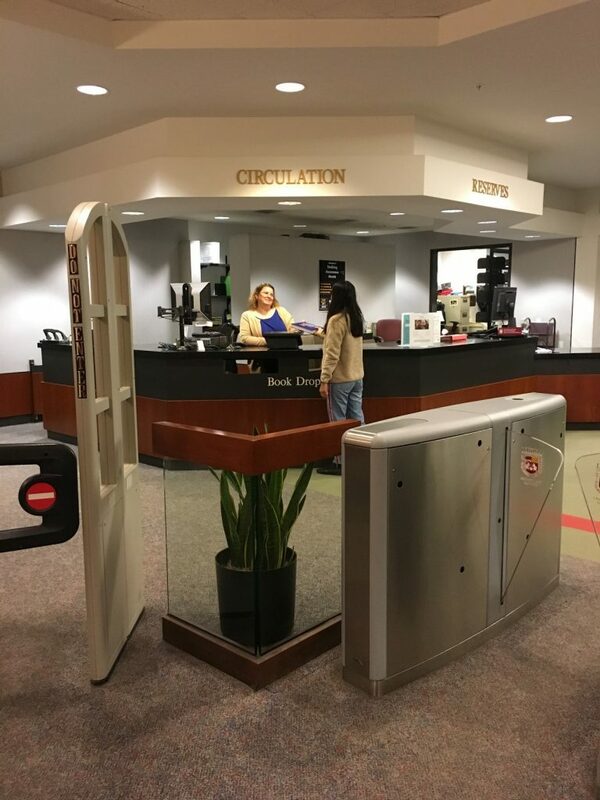 Once you’ve found your book head down to the Lewis Circulation Desk on the sixth floor to check it out. 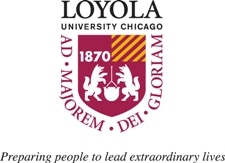 You must have a Loyola ID with you in order to check out your book. No exceptions! This entry was posted on February 12, 2019 at 10:00 am and is filed under News. You can follow any responses to this entry through the RSS 2.0 feed.